September 2018 Child of the Month – B. M.
B has been growing and changing in so many positive ways! We are so thankful for the way God has been working to transform her life. Over the last year, B has made a profession of faith and the change in her actions and attitudes has been evident. B is involved in her house by helping to keep it clean, watching the little ones and in general, working hard at whatever needs to be done. At church, she sings in the children’s choir, helps with the little children, and looks forward to youth group each Friday night. 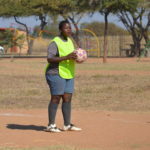 She plays soccer and is quite an outgoing and social young lady. She really loves to tease and joke around and sometimes you have to carefully look into her eyes to see if she’s joking or if she’s serious. 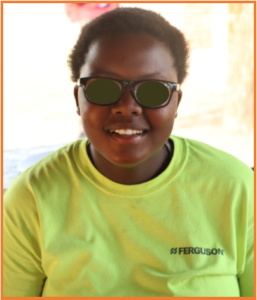 She is a comforter to others in her house and sometimes takes on the role of a peacemaker with the other children. Her mom says that she is a joy to be with and is growing stronger and more zealous about her faith in the Lord. She enjoys math and science and her strongest subjects in school are English and math. B’s desire is to do better in school so that she will be able to start high school (grade 8) next year with stronger marks. There are times when B is a bit moody or struggles to be self-controlled and will lash out at others when she is upset. Thankfully, God is helping her grow. You can also pray for her that she will have more confidence to make the right choices even when friends around her are not. She doesn’t want to do the wrong things just because others are. She is growing in thankfulness and recently told her parents “thank you for the way you love and care for me.” Thanks for praying for B!